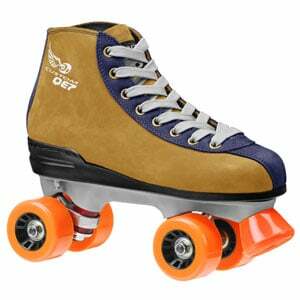 QE-7 quad rental skates from Pacer. Traditional leather boot rental skates. Full grain leather boot with Cambrelle+ bacteria resistant lining. Custom-sewn heel lock for longer life. We stock the design shown above. But if you order at least 300 pair, you can design your own skates with custom colors and logo.